There are a few companies that provide Cessna Citation Mustang Simulators. 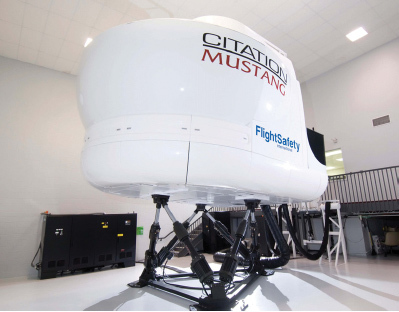 The main Cessna Citation Mustang Simulator provider is FlightSafety International. FlightSafety is the official training provider for the Citation Mustang. Their training locations in Wichita, Kansas, Orlando, Florida and Farnborough, Hants, United Kingdom have full motion, Level D Cessna Citation Mustang Simulators. To learn more about the Cessna Citation Mustang Simulator training programs visit our Cessna Citation Mustang Training or Citation Mustang Type Rating pages. Above Cessna Citaiton Mustang Simulator Photo from the Cessna Citation Mustang Brochure by Cessna. Copyright Cessna Aircraft Company. Frasca International also builds Cessna Citation Mustang Simulators. 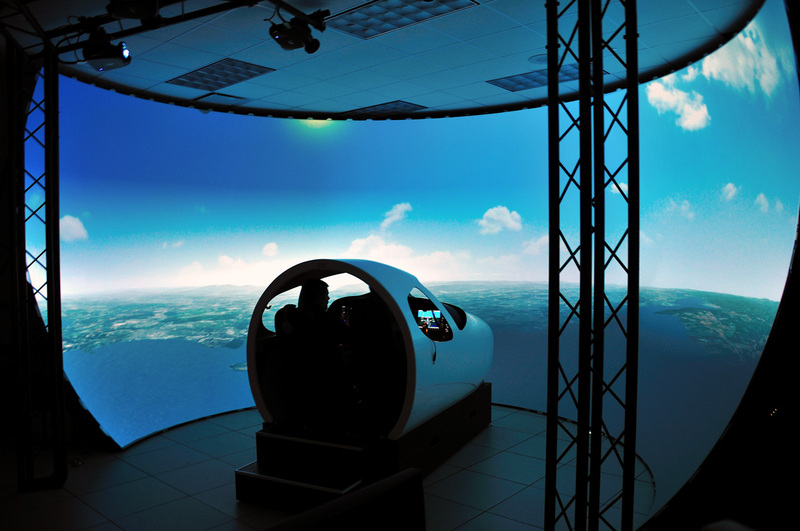 The Citation Mustang Simulator built by Frasca is non-motion, however it is very detailed and has a instructor station located next to the simulator. Frasca also says the FAA currently uses 2 of their Cessna Citation Mustang Simulators for training. Above Cessna Citation Mustang Simulator - Frasca by CAMIOKC on Wikimedia Commons. Photo released under a Creative Commons License. Flight 1 Software offers a Cessna Citation Mustang Simulator for Microsoft Flight Simulator X (FS10). The Citation Mustang Simulator for FSX is certified and approved directly by Cessna. This makes the Flight 1 Cessna Citation Mustang Simulator a detailed and complete model of the real Citation Mustang. Cessna Citation Mustang Simulator is also known as Citation Mustang Simulator, Cessna Mustang Simulator, C510 Simulator, Cessna 510 Simulator, CE-510 Simulator, Citation Mustang Very Light Jet Simulator, Cessna Citation Mustang Aircraft Simulator, Cessna Citation Mustang Jet Simulator and the Cessna Citation Mustang VLJ Simulator.